The transportation and commercial needs of the small Island of Oinousses in northeast Aegean, are served by the main port which is located in the south side of the Island, within Mandraki Bay, and exclusively through sea connection with Chios Island. The existing facilities are “naturally” protected by south and southeastern winds that mainly blow in the area. They offer good berthing circumstances for fishing and tourist boats as well as for one small ferry up to 45m long as well as sea taxis. 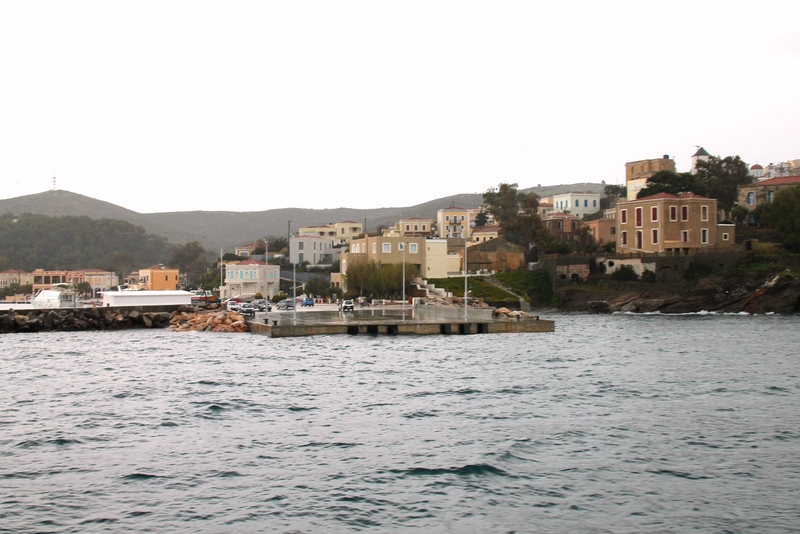 The small ferry connects Oinousses with the main port of Chios and it is the only mode of transport vehicles and light trucks. Sea taxis connect the Island with Lagkada village, that is located at the east coast line of Chios, right across Oinousses, and their use is strictly for passenger transportation. The confined maneuvering area and small berthing depths of the basin, along with short-length quay walls, limit the ability of the existing facilities to serve larger ferries. In other words, they block the "disengagement" of Oinousses from Chios Island and their direct connection with important passenger and commercial ports of Greece. In order to upgrade the functionality of the existing port, in 2006, the Municipality of Oinousses contracted CNWAY the design of a Pier, at the external side of the existing windward mole. This Pier will be used by larger ferries, without any disturbance for boats that are already served by the port. The study was successfully completed in 2010 and constructed as well.